Your water treatment One Stop Solution. Founded on Year 2003 June. 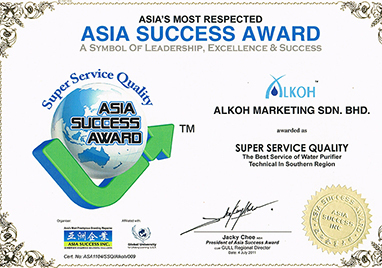 ALKOH is a retail and specialist in water filtration system. In order to serve our customer better. We are providing services that supply, retail, repair and installation, all under one reef! We greatly appreciated of your support. We have currently brought in a better and more advance water filter system that can provide cleaner and healthy water. 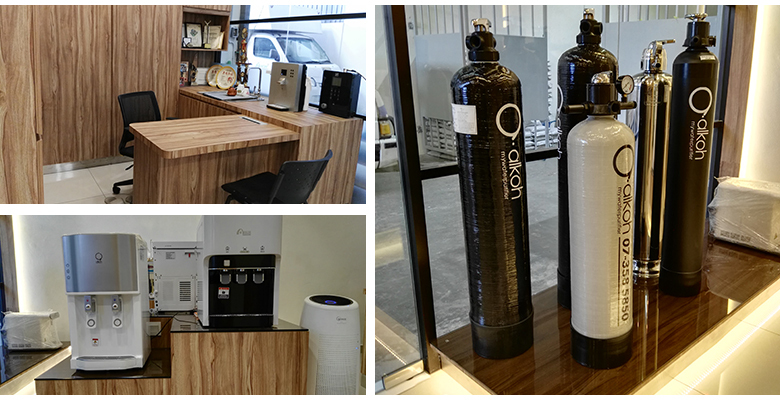 Our friendly staff are eager to serve you better and recommend you the water filtration system that suit you most. Alkoh product include R.O system, Bio alkaline energy and spare parts. Not only wholesale and retail, we also provide rental service. As a water specialist, we supply quality parts and filter to our dealer, agency and end user. We’ll continuously developing the water system and advances filtration device assures you of pure and clean water. Our technician will be the person who do the product installation. Beside this, they will be the one who do the after service too , e.g. relocation or ant trouble shooting for the product. We build our team from people with positive thinking, energetic and responsible. 1. Super Service Quality Company for year 2011. 2. 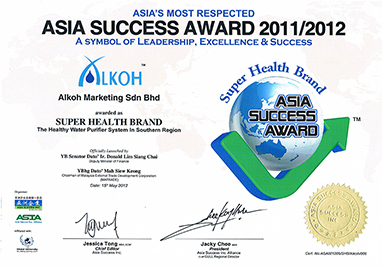 2012 by Asia Success Award. 3. SME Certificate of Achievement. 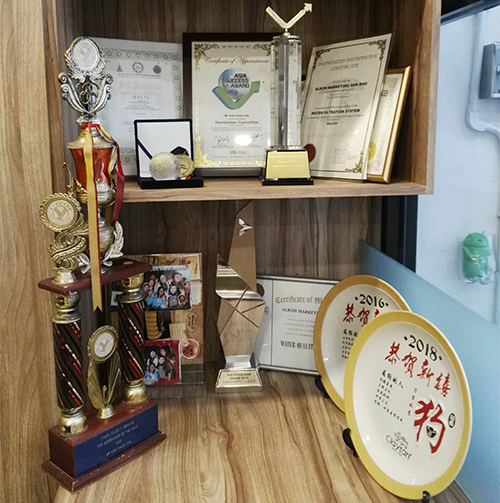 Our Company service quality already build strong and good reputation among our client and we promise to do even better in future to ensure maximum client satisfactory.